Military Transparency in China? One Step Forward, One Step Back…. The Chairman of the Joint Chiefs of Staff, Admiral Mike Mullen, was recently in China and toured a number of Chinese military facilities. During his July 10-14 trip, he visited the Second Artillery Corps headquarters, and an air force base in Shandong, where he sat in a Su-27 Fighter. 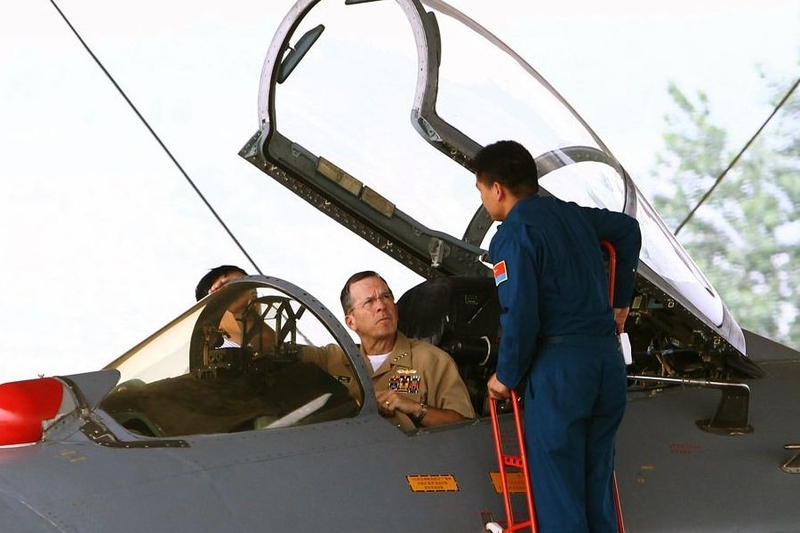 Admiral Mullen in the cockpit of a PLA Air Force SU-27 fighter jet. As part of his tour, Mullen also visited a submarine base where he inspected a Yuan class diesel submarine. 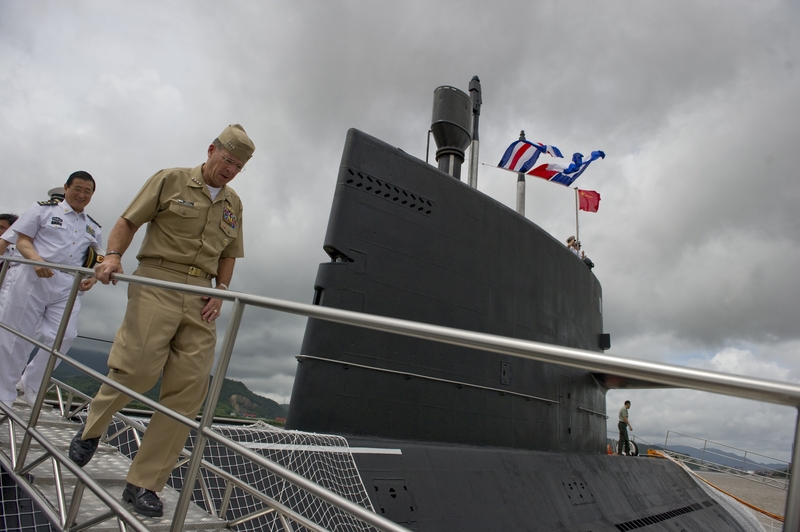 Admiral Mullen inspects a PLA Navy Yuan class diesel submarine. However, a new INSS Strategic Forum “Chinese Military Transparency: Evaluating the 2010 Defense White Paper” by Phillip Saunders and Ross Rustici evaluates China’s 2010 defense white paper and finds it a step backward in transparency compared to previous editions. China’s 2010 white paper receives lower transparency ratings than the 2008 paper and provides less information than defense white papers of other major Asia-Pacific powers. For the original INSS publication explaining the transparency methodology, click here. For updated charts that compare China’s 2010 white paper to other Asia-Pacific white papers, click here. The authors present an objective method for assessing China’s military transparency, attempting to build on the PLA’s modest efforts to date in this vein. Targeting defense white papers, the study proposes a venue and a technique for Chinese and other regional militaries to evaluate their comparative degrees of transparency across a wide range of salient areas – including military doctrine, threat assessments and defense policy. Last week, a piece in China’s state-run Global Times explicitly responded to the study by concurring with the authors’ conclusion that improving Chinese military transparency was an important objective not only for international audiences, but for the Chinese people themselves.